Very impressed. He listens and then does a through exam. His bedside manner and explanations were great. I will not hesitateto recommend him to others. And his staff was also amazing as well. Very impressed. He listens and then does a through exam. His bedside manner and explanations were great. I will not hesitate to recommend him to others. And his staff was alsoamazing as well. the wait time was very long but the receptionist explained the reason why. Dr. Weigold was great, he was friendly andinformative, he listened to my concerns and met my needs. The office was overall well organized and the staff was friendly and very professional. the wait time was very long but the receptionist explained the reason why. Dr. Weigold was great, he was friendly and informative, he listened to my concerns and met my needs.The office was overall well organized and the staff was friendly and very professional. 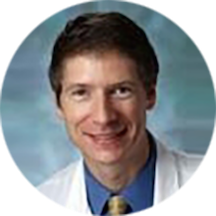 Dr. William Guy Weigold is a caring and concerned cardiologist serving the community of Washington, DC. Dr. Weigold attended the University of Minnesota, Twin Cities, where he received his medical degree, and completed his internship and residency in internal medicine at Northwestern University. He also completed his fellowship in cardiology at MedStar Washington Hospital Center. Dr. Weigold is a part of MedStar Heart & Vascular Inst. Faculty Practice. Dr. Weigold is affiliated with MedStar Washington Hospital Center in Washington, DC. Dr. Weigold is board certified in cardiovascular disease by the American Board of Internal Medicine. Patients see Dr. Weigold for a variety of reasons, including cardiology consultations. Dr. Weigold’s medical experience is vast and impressive. His areas of special interest include cardiac CT and cardiovascular diseases. He is a member of the American College of Cardiology and the Society of Cardiovascular Computed Tomography. Dr. Weigold is sensitive to the uniqueness of each patient's situation and adapts his consultations and treatment options appropriately to accommodate individual needs and concerns. Dr. Weigold is an excellent cardiologist. His bedside manner is professional, kind and considerate. I would highly recommend Dr. Weingold to everyone for their cardiac Care. Dr. Weigold is nice, and generally helpful, but service was extremely slow. In an office of several doctors, and only one other patient waiting, it took nearly 40 minutes for me to be seen at all, and another 10-15 minutes betweenthe nurse checking my vitals and taking an EKG before the doctor came in. I'll probably go back, but I'm thinking twice. I am happy about my visit, it's my second time here in 1 month, the doctor, Dr. Weigold was very nice, he explained everything to me in the way I can understand it, everyone working in this office is great, allprofessional !! Thank you so much. P.S The only thing, I want to say is that the wait to see the Dr. is very long. I know they are busy but 1 hour is long! Thanks.